I hope everyone’s 2015 ended with some great reading, family, friends, and fantastic food. What were your favorites in 2015? 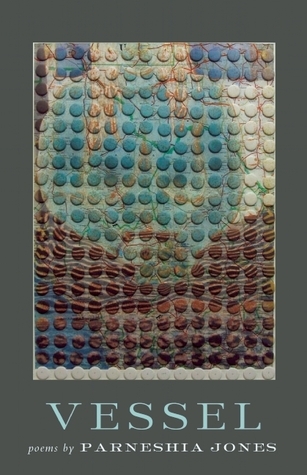 Vessel: Poems by Parneshia Jones is a stunning collection that explores the vessels we are given to travel through the world in in a literal and figurative sense. We are born and given a name, but what do those names come to mean to us and how is that different from the meaning of the name to our parents? Jones explores the meaning of her own name in “Definition,” after the poetic narrator introduces the girl she believes herself to be at the beginning. She effectively juxtaposes this carefree and fun-loving girl with the expectations of the name she is given. microphone brush and missing front teeth. I. 1980–daughter of high school sweethearts (prom queen and football captain). While she is young, the narrator is content to just be, but as she grows older, she seeks a part of herself that she was unaware of, only to be surprised by how connected she already was. And as the collection continues through its stages, so too does the evolution of the narrator from a child seeking a fair trade with her friend to switch names because her friend’s name is shorter, until she realizes that names often reflect who we are on the inside. In this tale of growing up, the narrator becomes a young woman who fondly remembers those who helped her grow, like her grandmother who “lifts the quilt/sewn fifty years ago by her mother, signaling me to join her.” And that girl slid “into the pocket of the quilt,/letting my grandmother’s hands/cradle me back to child,” ultimately “creating a human quilt.” (page 14-5) These are the memories she can hold onto when the reality of life hits her hard, and she begins to realize that love and other things are not as they are in the movies. One of the best poetry collections I’ve read in 2015. After studying creative writing at Chicago State University, earning an MFA from Spalding University, and studying publishing at Yale University, Parneshia Jones has been honored with the Gwendolyn Brooks Poetry Award, the Margaret Walker Short Story Award, and the Aquarius Press Legacy Award. Her work has also been anthologized in She Walks in Beauty: A Woman’s Journey Through Poems, edited by Caroline Kennedy and The Ringing Ear: Black Poets Lean South, edited by Nikky Finney. A member of the Affrilachian Poets, she serves on the board of Cave Canem and Global Writes. She currently holds positions as Sales and Subsidiary Rights Manager and Poetry Editor at Northwestern University Press. Parneshia Jones lives in Chicago. 1. 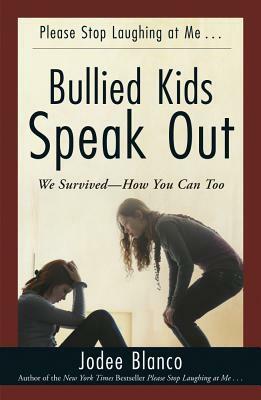 Bullied Kids Speak Out by Jodee Blanco from Anna. Have you ever felt alone, as if no one understands what you’re going through, and that no matter how hard you try, you’re scared things may never get better? Do you wish your classmates would give you a break? I felt that way often in school. I was bullied and excluded for the same reason maybe you or someone you know has been–simply for being different. There were days when all I wanted was to stay in my room. Back then, I would have given almost anything to meet the kids you’re going to meet here. 2. Vessel by Parneshia Jones, a surprise from Milkweed Editions. The imagination of a girl, the retelling of family stories, and the unfolding of a rich and often painful history: Parneshia Jones’ debut collection explores the intersections of these elements of experience with refreshing candor and metaphorical purpose. A child of the South speaking in the rhythms of Chicago, Jones knits “a human quilt” with herself at the center. She relates everything from the awkward trip to Marshall Fields with her mother to buy her first bra to the late whiskey-infused nights of her father’s world. In the South, “lard sizzles a sermon from the stove”; in Chicago, we feast on an “opera of peppers and pimento.” Jones intertwines the stories of her own family with those of historical Black figures, including Marvin Gaye and Josephine Baker. Affectionate, dynamic, and uncommonly observant, these poems mine the richness of history to create a map of identity and influence.